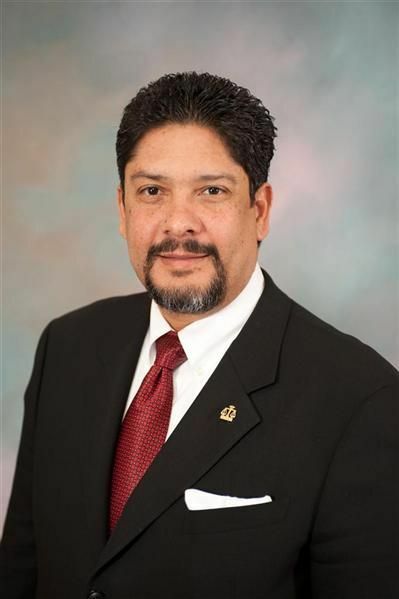 The Arts & Business Council has awarded the 2011 Arts Advocate of the Year award to Jorge Luis Lopez, Esq., in recognition of his leadership in promoting issues important to the cultural community. The award was presented to Mr. Lopez at the 2011 Serving the Arts Luncheon on May 10, 2011, at the Hyatt Regency Hotel, Downtown Miami. As a member of the Miami-Dade Cultural Affairs Council, Mr. Lopez has established himself as a respected leader, advocate and policy strategist for the cultural community. His efforts in support of the arts include service on the boards of the History Miami, Vizcaya Museum Trust, and the Coconut Grove Playhouse. As an attorney for 20 years, specializing in governmental affairs, Mr. Lopez has leveraged his tremendous connections to local, state and federal elected officials to encourage support, resources and policy decisions that support the arts. More than 500 arts patrons, business leaders, executives, elected officials, and donors attended the luncheon. Guests enjoyed cultural interludes by local artists and groups, as well as tropical music. Jane Wooldridge, Business Editor for the Miami Herald, was the featured key note speaker, addressing guests about the importance of the arts to the corporate community. Mr. Lopez established his practice in 1987, representing Municipal Governments, Florida 100 and Fortune 500 companies at the federal, state and local levels. He serves his clients as a government relations specialist, advising them on the development and response to government regulations, procurement cycles, land use, zoning and redistricting.